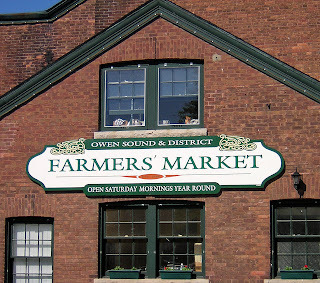 Should you ever find yourself lost on a Saturday morning and about 3 hours north-west of Toronto, make sure you stop in to the Owen Sound Farmers' Market. You can read more about it on my first post for the Foodtv Canada blog, Food for Thought! Posted by Brilynn at 11:11 a.m. 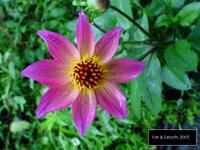 I enjoyed reading your article, looks like a great farmers' market! Nice article...congratulations Brilynn! :) That looks like such a charming farmers' market! Oh my gosh...this is great Brilynn! Has your wish of finally getting paid to blog come true? Way to go! I went there two years ago during the Folk Festival on Owen Sound! I loved it!!! Thanks! That sounds like just a wonderful market. thanks...if you are ever at the Owen Sound Farmers' Market again..please ask for tom...I am the heavyset flustered looking guy...I am the Market Manager...thanks for your visit and kind comments.